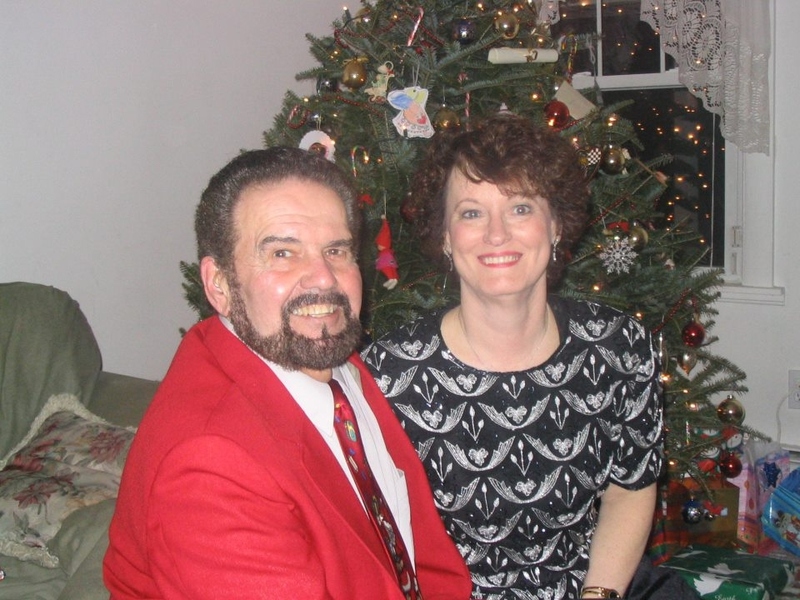 My husband Al and I are trying to "Modify" the Patient Privacy Act. We believe that the substance abuse patient should have the “right to privacy,” but as the law stands now, it can actually be detrimental to their health and well being. Our intent is not so much to change the Patient Privacy Act, as to modify it, especially where it not only pertains to alcohol abuse patients, but also in the case of drug abusers and mental health patients. Families of patients are prevented from obtaining access to information that may help them to aid in the recovery of the patient when a physician determines that the patient may be in a life-threatening situation because of their addiction. We currently have 31 signatures and need 50. If you believe in our efforts, please go to the link below and sign. 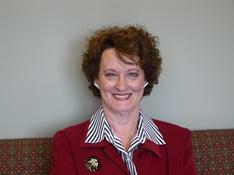 I had watched my husband, Richie and then my daughter, Lori, slowly kill themselves from alcohol abuse. They were put to rest together at the St. Patrick Cemetery in Somerset, Massachusetts from a disease of Alcoholism that is taking to many of our loves ones. Since their loss, I became a Motivational Speaker on addiction and also the effect of alcoholism on the whole family to the public. My greatest joy is to the direct contact with substance abusers themselves. Why? because they are good people who had just turned to the drinking and taking drugs for the wrong reason. Their reason: to cover their pain from many things that have happened to them in their young lives. Pain that family members don't see, because they hide it so well. I talk behind closed doors to the addicts and found many reasons for their addiction: parents or relatives who had drank, many who died from their addiction, being abused as a child mentally and physically, hanging out with the wrong friends to fit into the crowd, abortions, feeling no love, being bullied at school, being shy and had the need to be the opposite, lost confidence in themselves, from a death leaving them devastated, coming from low income families feeling no hope, not finding jobs, living in slums, and the reasons could probably cover four more pages. Those problems with an individual are what causes them to turn inward and hide what they are feeling. I try to explain to them that the healing is talking about the experience that hurts. You can't go forward if you don't get what I call "all the garbage out." You have to learn that you have a right to your feelings whether people understand or not. They are affecting you from living a healthy life. I don't believe substance abusers want to live this way. At first, it's all the fun in the world until you realize that you can't stop. Once the demon gets a hold of you, and especially if you don't want to stop, your organs are going to shut down and you will be joining the other addicts who have died from an illness that could be changed. People, not just substance abusers, have turned away from their faith. God has been taken out of documents, schools, our government, families, our hearts. When you have Him in your heart, you are not alone. He is a loving and merciful God who made us so we would be happy with the life he gave us. We forget that He has given us "Free Will." You have choices; keep heading down the death path or turn around, no matter how hard it is, and head for recovery. Only you can do it. Family can only support and love you. This is your battle. I highly suggest, since the substance abuser has the right to stop family members to go to their counseling from the Patient Privacy Act, to breakdown the walls and include them in your recovery program. Lori used this law to keep us out, and instead, she never got to hear what happened to her as a child that she didn't understand and grew up living in fear. She needed to hear from me, her mother, who lived through the pain also, to help her learn what went wrong. Instead, she decided not to face that fear and died instead of learning why she turned to substance abuse. My advice to counselors and doctors is to find out why they are drinking more so than the action itself. It's the reasons that are killing them. The addicts need professionals with deep routed education and degrees in Alcoholism to help them. Counselors with no education, but who lived through it, are good at counseling meetings. The physical and mental depression needs to be treated with the professionals. Some don't recover thrown-in with a group in a rehab. Many can't open up in front of others. They need that one on one. How do I know this? because I saw regular counselors did not help Lori at all. She needed to find someone she trusted and that person needed to know through education on how to reach her and give her the desire to recover. Lori needed one person to feel a connection to and find her way back. My advice to alcoholics and drug users is to walk away from the friends, who you think are friends, stop going to the same place with the same people, the corner where the drug dealers are, and head for home. Clear you minds so you can think with a healthy mind and recover and turn back to prayer. Many tell me, I don't know how to say the rosary. That is okay because God knows that and everything else about you. People don't realize that prayer is just talking to God. Start your day, asking him to help you not take that drink, pill or shot. If you slip, at the end of the day thank him for that day even though it was a nightmare. Why? because he is giving you another day to get it right. We talk about our loved ones who are addicted to alcohol abuse or on drugs. Do we think of the parent's pain in trying to help them as we watch them day in or day out knowing they are heading for being added to the list of persons who had died from alcoholism? Or what about 24/7 with the thoughts trying to know where they are, with whom, what they are doing, if they are sick laying in a corner somewhere, or dying out of sight. Waiting for the knock on the door seeing a police officer facing you. Yes, parents who have been good to their children, gave them a good home, had a healthy meal on the table, helped them in their school work, saved for their college education, and done everything parents do because we love them and want the best for them, suddenly are faced with the reality that the loved one is hooked on alcohol or drugs. The fear comes from the depth of your soul. Questions fly with, "How can I help them, why won't they listen, why won't they go for professional help, why do they hang out with these other users," and we come to term that all the threats, enabling or whatever we try to stop the action, does not work. 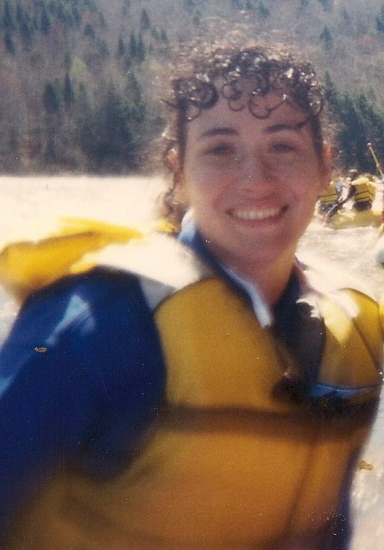 My daughter, Lori (Lopes) Cahill from North Dighton, Massachusetts died at thirty-nine like she feared; the same way as her father, Richard Lopes, did at forty-five years of age..cirrhosis of the liver in a cold VA Hospital in Providence, Rhode Island. Lori and her sister were by his side when he took his last breath. Lori was seventeen years of age and Debbie was twenty-one when he was taken from us, and Lori's daughter, Meagan, was seventeen sitting by Lori's side watching her being taken off life-support after three weeks of hanging onto hope at the Charlton Memorial Hospital in Fall River, Massachusetts. 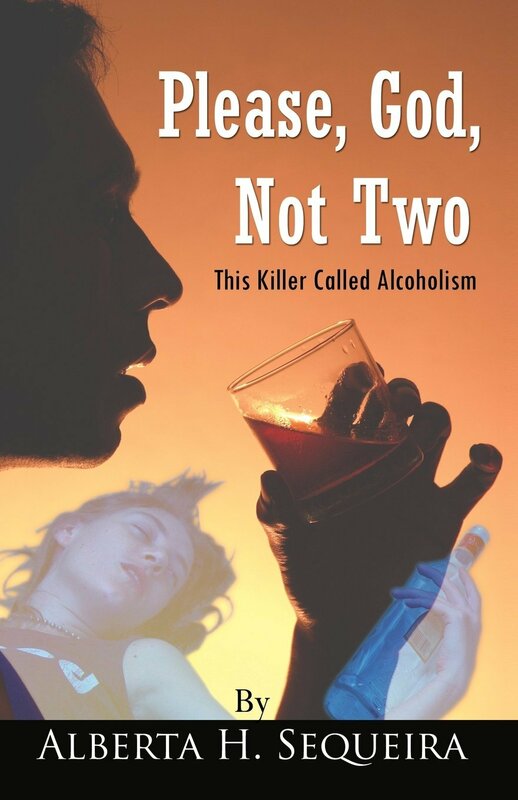 Read the memoirs of Someone Stop This Merry-Go-Round; An Alcoholic Family in Crisis and its sequel of Lori in Please, God, Not Two: This Killer Called Alcoholism. When does death stop taking one member at a time from this horrible, worldwide disease? Why aren't professionals able to help the addicted? Why is the number of deaths climbing instead of declining? We have to learn what the addict needs. I wondered this when I finally lost Lori. Why are the others facing their disease and coming out winning with their battle to survive? That question needed to be answered. How? By going to the substance abuser themselves. Who knows more about their pain and suffering than another addict. Are we not listening to them? Are we waiting too long for the disease to grab onto them and they can't break away from the demon? I had thirty-five alcoholic and drug user offer to tell their stories, not only to other addicts, but to doctors, counselors, society and family members with our enabling, which only brings them deeper into their addiction. This is a book that helps everyone. Go into the mind-set of the addict and learn what is and isn't working for them. What do they need from us? Read What is and isn't Working for the Alcoholic and Addict: In Their Own Words and all my other books. Click here http://www.amazon.com/s/ref=nb_sb_noss_1?url=search-alias%3Daps&field-keywords=alberta+sequeira to purchase the book in paperback or Kindle. Spread the news of this publication. After reading it, set it down on a table for the addict to read without saying a word and let the contributors do the work to connect with them. That is why they told their stories; to save others from the pain of loss with everything in their lives. This is an educational book that would be an eye-opener in schools. It can become a topic in class or a homework assignment. Many children may be suffering silently not knowing how to talk about their family living in a deep, dark hole or they themselves may be wanting help but not knowing how to ask. Talking about the lives of the contributors may spark life into the students and help them to start opening up without facing a counselor. It's a book to help the substance abuser getting help at detox centers, substance abuse rehabilitation locations, court-ordered programs. It helps doctors and councilors look at addiction differently. If something isn't working, we need to take a step in another direction to helping the addicted. This is a book for business owners who are having numerous sick days piling up from workers fighting alcohol or drug abuse. Give the book as gift. It's a book for family members to read to understand what we are doing wrong. Purchasing this book, gives the addicted a voice, and I hope you help me to accomplish this task. Over-drinking is something that I search out with people when I socialize at events like weddings, eating at restaurants, someone sitting at a bar, or at a private party at someone’s house. Am I alone with this trait since I lost my husband and daughter from their addiction? I find being with family members that I am starting to watch and count someone’s drinks like I did with Richie. I can remember that conversation so long ago…coming up to nine years after losing her on November 22, 2006..two days before Thanksgiving. The more we are invited to gatherings, I see heavy drinking. No one gets drunk, fights, slur their words or falls down making a fool of themselves…but, I see the drinks flowing all day. No one seems to take a break from the drinking. It’s not a favorite drink that they stick to but they have fun mixing different ones. It brings back the years that I used to count Richie’s drinks when I was rarely out with him having fun with his drinking buddies. He never drank at home or weekends with his family…but he died at forty-five years of age in 1985 from his over-drinking. I guess drinking becomes a problem when it causes problems in ones’ life. But, again, how many drinkers stop to say, “Wow, I seem to be drinking a lot, I am waking up with a hangover too often, we fight a lot with me staying out drinking, or I pick up drinking the next day even after I get sick from it?” Substance abusers don’t see the future path that they are traveling on at a young age. To them, it’s a fun time. It takes years for drinking to become problems in ones’ lifetime. To her, it was, but she gave up her family who loved her, friends, fun, and died too soon. All from the fun of drinking! So, I try not to be judgmental when I sit amongst the drinkers. I pray if another family member notices their own actions with drinking going too far that they have the strength to pull back and look at the situation. Are parents friends or enemies to the addicted? I guess you could say that is an odd question for a parent to ask after losing a husband and daughter to their addiction. Why do our loved ones turn away from us instead of towards us for help.? Every time Al and I tried to help Lori, or even our whole family, she’d remark she was fine and had no problem. The Patient Privacy Act gave Lori the right to omit family completely in her counseling sessions, even though we believed that she needed to hear what really happened to her while growing up. I believe that this law is also as enabling as the family. It protects the substance abuser to the point of them not getting the past out into the open to see how much we can help them. No matter how much we yell, scream, threaten, punish or ask them over and over again why they can’t get their life together, they look at us as being smothering. I had to lose two people I loved to realize that they don’t know themselves why they are going down this path and only they can pull themselves out of this dark hole and we can only love and support them. Sometimes, that is not enough. Lori feared dying like her father when he was forty-five and she went down the same path to only be laid to rest by his side at thirty-nine years of age at the St. Patrick Cemetery in Somerset, Massachusetts. All my prayers and rosaries went unanswered. I live on believing that God is all love and mercy and had a reason that I will never understand to take her home early. He gives life to us and then we belong to Him and he takes us to our home in heaven when he needs us. Counselors and doctors need to dig deep into the addicts past to find out “why” they are using more than trying to fix the disease. I tell the patients when I talk to them that they have to get the garbage out of them to heal. Holding the pain and resentment will keep them stuck. That is what happened to Lori. Instead of talking about the events and recovering, she held it in and drank to take the pain away to only end her life. Parents and family members become the enemy in the addicted’s eyes and mind. If others in their life drank and treated them badly, than it’s hard to talk and forgive. To become their friend, we need to “listen” to them when they want to open up to us. We need to “show” them we love them, not tell them. We have to let them know it’s the disease we hate not them. I wish I had all the answers when I give talks or hold an addict in my arms knowing they are hurting and are frightened to return to a world with no more drinking or taking drugs. They forget how to be happy and live what we call a normal life again. In my book What is and isn’t Working for the Alcoholic and Addict, a high percent of them talk about turning back to God and their faith. We have pushed the most important person out of our lives..our Maker who loves us. He gives us choices and we have to choose to either get better by reaching out for help or staying with the comfort, which is really their killer, in the world of drugs and alcohol. Go to http://www.amazon.com/s/ref=nb_sb_noss_1?url=search-alias%3Daps&field-keywords=alberta+sequeira to purchase. Have you lost faith in God and life? How many of us have waited too long to learn what our loved ones were all about before their passing? Did opportunities slip by to tell them they were loved? Or were the doors to forgiveness closed because of pride? A Spiritual Renewal: A Journey to Medjugorje is a beautiful story which follows the author’s inner thoughts and intense emotions as she fights the prognosis of her father’s cancer and learns too late about his remarkable military status. This is the story of her journey. Read about Brigadier General, Albert L. Gramm formally from East Falmouth and his last stay in So. Dennis, who had been one of the 26th Yankee Division commanding officers during WWII. He fought in some of the famous battles like Metz, Lorraine and The Battle of the Bulge. 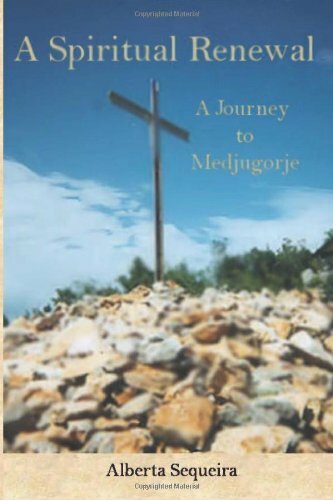 This memoir reaches those who have suffered from losing a loved one, a military serviceman or woman, have no direction in life, wondered what Medjugorje is all about with the ten secrets being given to six visonaries in Bosnia, and those of us who have pushed God completely out of our lives. Get the true feeling of the devotion Hospice gives to families. Learn how we take our veteran for granted not realizing those who fought have done for us. This story is also about family, love and miracles. This is a book of many lessons for both men and women. After reading this book, maybe we can just slow down for a moment and contemplate what is really important to us in our own world...the people in our lives whom we love and care about and a God who will never abandon us. Thank you, Alberta, for helping me to strengthen my own faith. February 6, 2014, I hosted a program for families at the Lakeville Library in Massachusetts. Two recovery alcoholics talked about how they got involved with alcohol that turned their lives upside down. I had an hour to talk about how the family members suffer silently ourselves trying to deal with the confusion, fear, enabling, denial, and some of us, living with physical abuse. This video is worth watching. I hope it helps just one person. Medjugorje is a tiny, remote village in Bosnia.